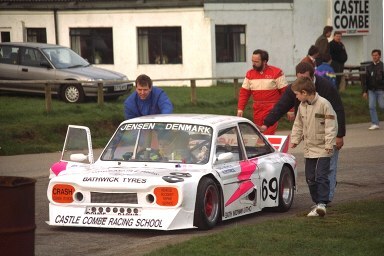 Earling Jensen's Championship winning Maguire Stiletto. regularly did 1:07 in the races. max speed at the circuit about 130 Mph. He won the 'special GT' (where anything goes) championship a few years ago with this 998cc Imp. The special GT race has 25 - 30 entries and is fast and furious !